Ian Nepomniachtchi has won the Aeroflot Blitz Championship played today in Moscow as part of the Aeroflot Festival. 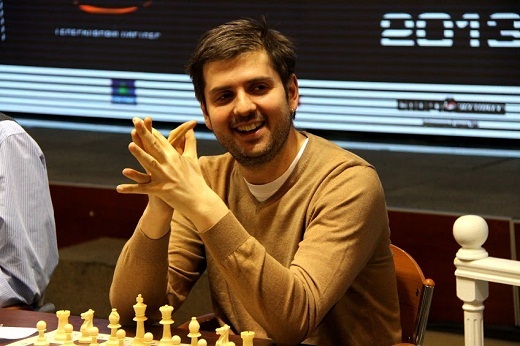 Peter Svidler obtained the second place, third place is for Alexander Grischuk in an all-Russian medals show. The format used was a 9 double-round Swiss. There were 275 participants, with 182 titled players; among them 107 GMs and 33 IMs. The prize fund totaled USD 50,000 with USD 10,000 reserved for the winner. There were prices for the 30 first places. The very strong field had a surprising leader after the first 4 double-rounds, the ex-women’s world champion Alexandra Kosteniuk. The Russian scored a perfect 8/8 in her first four matches. In her fourth mini-match, she defeated the Russian GM Mikhail Kobalia. Before that she had no problems with Denis Gusev, FM Gleb Apryshko, and GM Ivan Bukavshin. Then, the favorites started to show why they have earned their status. After round 12 Ian Nepomniachtchi was already convincing leader with 11,5/12 and Alexander Grischuk was close behind with 11,0/12 points. 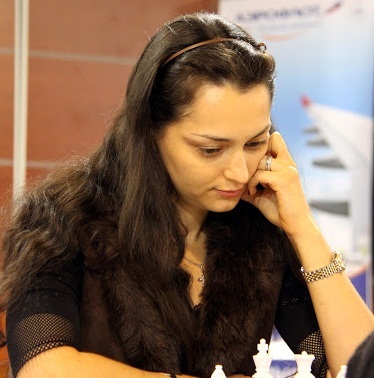 Nepomniachtchi played against the early leader Alexandra Kosteniuk in the 5th round and defeated her with a 2-0 score. The ex-World Champion could not recover from this loss and only scored 3/10 in the second half of the event. In one of the exciting encounters of the day, Nepomniachtchi won against the recent winner of the Moscow Open Boris Savchenko. Exactly this victory put Ian in sole first place. Alexander Grischuk demonstrated that he was willing to go for the first prize by defeating GM Gata Kamsky in the 6th round. Ian Nepomniachtchi kept his good form and led the tournament one round before the end. He defeated Alexander Grischuk with a perfect 2-0 and gained an important lead in the standings. He quickly signed two draws with Karjakin in the next rounds, to have 14,5/16. The only player that had the chance to put him down was his last round rival, Peter Svidler. The experienced Russian had some early setbacks, as he lost two games against much lower rated opponents – WIM Alina Kashlinskaya and GM Mustafa Yilmaz. 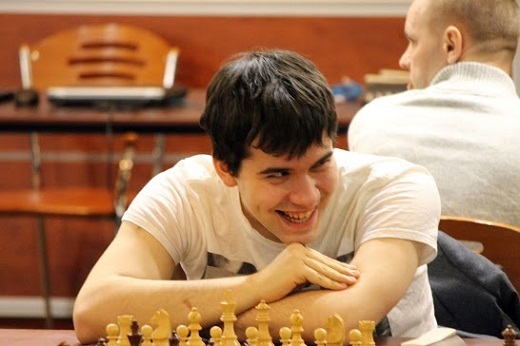 However, he recovered by winning all but one of his games, defeating very strong players such as Alexander Riazantsev, Denis Khismatulin, and Dmitry Andreikin. The last two rounds had the dramatic touch that the blitz tournaments use to have. Svidler defeated Nepomniachtchi in the first game of their mini match and both players arrived to the last game with an equal score. Nepomniachtchi won the second game of the mini match, taking the USD 10,000 first prize and stacking a lot of confidence ahead of the Aeroflot Rapid Final. Chessdom.com will continue with the coverage of the Aeroflot Open tomorrow. Don’t forget to check the Chess Bits section for the latest news.